We’re Rockin Around The Christmas Tree!! We’re Rockin Around The Christmas Tree! King Crazy’s heart and soul is a Rock n’ Roll band. Not Glam Rock, not Metal, hell not even Hard Rock. Just good ‘ol straight forward Rock n’ Roll. 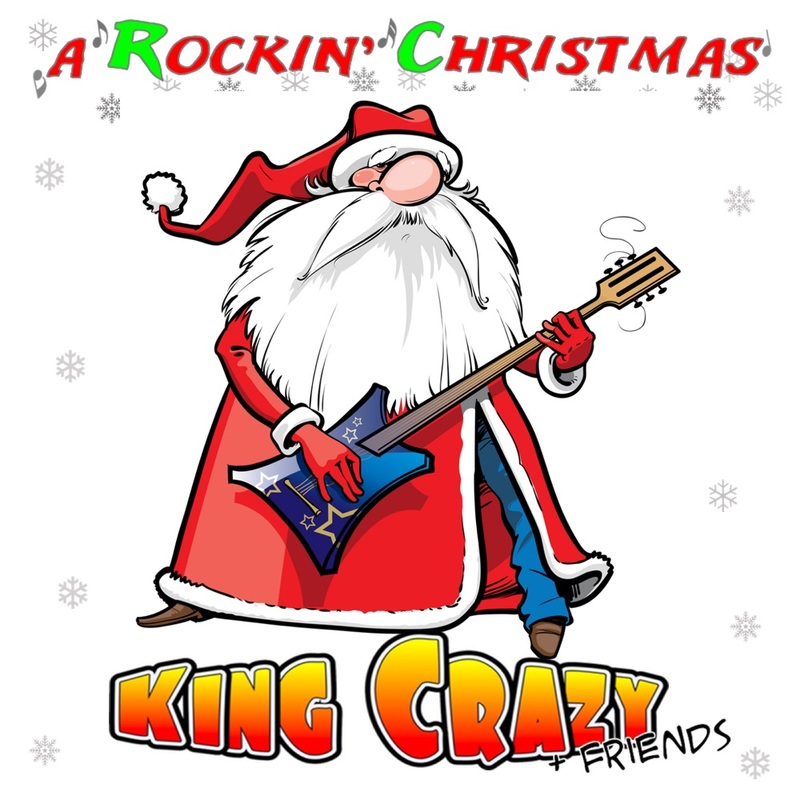 All of this is what makes “A Rockin’ Christmas” one fun Christmas record! King Crazy didn’t simply cover a few holiday songs, they put their own twist on them with some clever arrangements, rockin’ guitar riffs, thundering drum grooves, lots of cool vocals and a touch of organ just to top things off. From the rockin’ and fun renditions of “Jingle Bell Rock” & “White Christmas”, the groovin’ blues shuffle version of “Rockin’ Around the Christmas Tree” to the AC/DC-esque track “Winter Wonderland” we’re sure that “A Rockin’ Christmas” will not only be a great addition to your holiday music catalogue but will jump start your holiday office parties too! Get ready to crank up the Christmas tunes!